Speed Up Your File Downloads Using Aria2 in Linux ~ Your Own Linux..! Aria2 is a Open Source, Light weight, Multi-source, Cross-platform and Multi-protocol command line download manager available in Windows, Linux and Mac OSX platforms. It supports wide variety of protocols including HTTP(S), FTP, BitTorrent, and Metalink. With Aria2, you can download any file from multiple protocols and sources with maximum bandwidth utilization to accelerate user's download experience. Lightweight as it doesn't consume CPU memory and CPU time. A BitTorrent client with all features. A good alternative for wget and curl. srange-based for around std::string is convenient but several functions depend unsigned char for correctness and readability. Now you can build bittorrent support without without external libraries, meaning you can skip libnettle, libgmp, libgcrypt, GnuTLS and OpenSSL on OSX (for now). PKCS12 support in --certificate and --rpc-certificate options. You can use following syntax to download only one file from the internet. Yes, you can download multiple files by reading multiple URLs written in a text file. 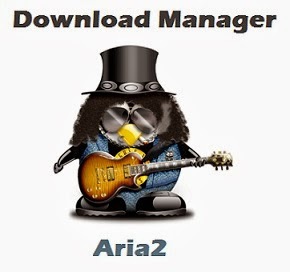 That's all about Aria2 Download Manager. For more details, you can always refer to the manual page of Aria2 by executing man aria2c command.